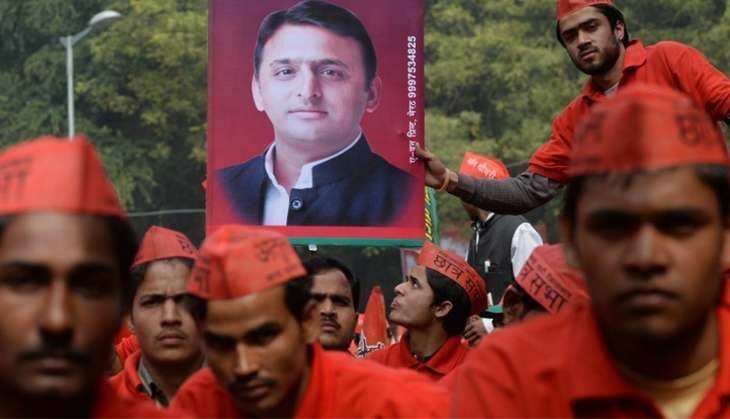 The nine-year-old son of an aspiring film producer, who was in the process of producing a film on Akhilesh Yadav, allegedly consumed poison in Delhi, on 5 January as he was apparently upset over the recent developments in the Samajwadi Party. The incident occurred in southeast Delhi's Jamia Nagar area following which the boy was rushed to a hospital where he was stated to be out of danger. Muneer, a class IV student and a resident of Shaheen Bagh, was apparently a fan of Uttar Pradesh Chief Minister Akhilesh Yadav and the policies he had implemented, his father Azhar Dilshad Khan said. Describing Muneer as a "brilliant" student, he said while children of his age usually spent time playing, he used to discuss the political scenario of Uttar Pradesh with his mother. Khan added that he was in the process of producing a film on Akhilesh and had stalled the project after the family feud in the SP surfaced. "Muneer was supposed to play the role of a young boy in the film who is in awe of the chief minister. We could not foresee that it would turn out to be a case of the real imitating the reel," Khan said, adding that the boy "grew up" watching YouTube clips of Akhilesh. All the members of the family, which hailed from Meerut, were fans of Akhilesh, Khan said. Meanwhile, police said that even though the family members told them that Muneer was a fan of Akhilesh and was upset over the recent developments in the SP, in writing they maintained that the boy had "accidentally" consumed an unknown poisonous substance. He was admitted to Alshifa Hospital, said a senior police officer. "The boy is now fit to give statement and is out of danger. His father has given in writing that his son had accidentally consumed some poisonous substance and he does not want any legal action. His mother has said that her son was a fan of Akhilesh Yadav and had consumed rat poison by mistake and that she does not suspect any other person's involvement in the matter," he added.